TEN Sports, South Asia’s largest sports broadcaster has signed a three year deal to broadcast the Hyundai A-League, Australia’s premier football league LIVE and EXCLUSIVE from 2014/15 to 2016/17. The league which is run by the Football Federation of Australia (FFA) has 10 teams, 9 from Australia and 1 from New Zealand. TEN Sports will showcase 86 matches per season including the 5 games of the Final Series playoffs. TEN Sports will also broadcast weekly highlights of the league and 10 games of the FFA Cup for each of the three seasons. World Sport Group, who distribute the Hyundai A-League and FFA Cup worldwide on behalf of the FFA, brokered the TEN Sports deal. 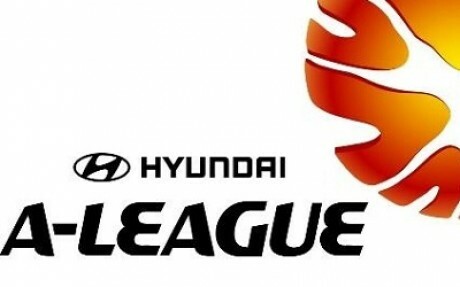 Each season of the Hyundai A-League runs from October to April and includes a 27-round regular season with an end-of-season finals series playoff tournament involving the highest-placed teams, culminating in the Grand Final. Winners from the A-League qualify for the AFC Champions League which is the UEFA Champions League equivalent in Asia. The League allows each team to have a marquee player and this has led to stars like Alessandro Del Piero, Shinji Ono and Emile Heskey showcasing their skills in this fast-growing league. TEN will broadcast the A-League Football action LIVE and EXCLUSIVE across the TEN Network on TEN Action, TEN Sports and TEN HD with live-streaming on tensports.com in the Indian sub-continent. TEN Network reaches over 140 million households across the Indian sub-continent. TEN Action, launched in April 2012, is a football centric channel broadcasting the best of World Football from across the globe including the UEFA Champions League, the UEFA Europa league, UEFA Super Cup, French League, I league, Brazilian League, Skybet Football League, Capital One Cup, Copa Del Rey, German Cup, Coppa Italia and club TV programming. Asian Games 2014 Live Telecast On Which Channel ?